Except for this moment in the epilogue. This was not explained and Harry's thoughts about it are not presented. It was not consistent with what had been demonsrated for Harry's character prior to this. Many people - myself included - could not believe Jo would write that without any explanation as to why Harry would be so disrespectful and completely dismissive of all those people who were shown on page to be so courageous and genuinely cared about him. That's just not the kind of person Harry was presented as prior to the epilogue, IMO. I see it differently. Harry gave Al the middle name of Severus, and we hear him mention to his son that he (Snape) was "probably the bravest man I ever knew" (note that he says "probably", not "the" bravest, or "only" brave). Harry's comment comes 19 years after Voldemort's fall, and he has had a lot of time to mature, marry and have children of his own...all of which I think would add to his understanding of people in general, and those in his life in particular. Harry only had 3 children, leaving a limited option for use of names of family & friends (if that had been his choice), and I think his choice of "Severus" speaks to Harry's opinion of Snape's role (over 17 years) to defeat Voldemort. I don't think Harry's choices disrespected anyone. To compare Harry's choices with Ron's, for example, Ron's children aren't named after family & friends, yet I would never think that Ron was slighting any of them by that. I think Harry's choices make perfect sense for him -- James Sirius, after his father & godfather; Albus Severus, after his mentor and long-unknown ally against Voldy; and Lily Luna, after his mother, and one of his & Ginny's good friends. In my perspective, Harry is the same here as in his early life. I think this may be the correct place. I really wished Harry had died to complete the theme of sacrifice. An entire family sacrificing themsleves for the greater good and to stop a dark lord from taking over the wizarding world sounds far more pleasing to me than harry coming back. It would has devastated everyone, but in the end thy'd all be able to kill voldemort with ease as they would be protected by his sacrifice. When Harry decides to die for humanity, when he walks into the forest and commits to the task, when he does everything humanly possible to get himself killed.... when is sacrifice ever more blatant than that? I don't think that the fact that he survived diminishes the sacrifice whatsoever. It would have if he'd gone into it hoping to survive, or knowing there was a chance to survive, but what Harry did was truly self-sacrifice, as there was no trace of hope or inkling of suspicion shown to us that he expected to survive the killing curse. So I'm not sure how the theme was really affected. Voldemort was destroyed whether or not he survived, as you say; he was powerless and mortal. It affected nothing, truly. I just see it as JKR finding a way to satisfy all of her fans. You wanted the theme of sacrifice? you got it. You desperately hoped Harry would survive? You got that too. When it got to the point that JKR could choose for Harry to die or live without affecting the outcome, you wanted Harry to die just because? Well, I guess JKR didn't see eye-to-eye. That is not full sacrifice. He was able to come back due to a technicality during a limbo. That entire scene is difficult to swallow given its arbupt and non-established appearance. Sure, he didn't expect to come out alive, but he did. The theme of an entire chain of friends and family dying is broken. it is not cemented. I cannot stand that chapter in the book for this reason and among other things. Limbo beings one of them, but I cant talk about religion here. Fan service is not a good thing. The first thing I want to say is that, if I had a rival who I constantly competed against, and we we both intensely disliked each other, and then my rival named their kid after me, then I would be really happy. I would consider it a great honor to our rivalry and my abilities. I would go on to steal (or adopt, or whatever) a child of my own and name it after my rival. In honor of our continued rivalry, I would hope that our children grew up to hate each other, and that the rivalry was continued with the names reversed. Hm? Why does it need to be religious in any way? He was knocked out and had a hallucination in which he talked to Dumbledore (or his subconscious representation of Dumbledore). It was all happening in his head. He survived on a technicality, but that doesn't make his offer any less genuine. The chapter where he walks to his death is an extremely powerful chapter, and it doesn't get erased just because he comes back and everything ends up happily ever after. If anything, I think it's awesome that a story would play something up so dramatically and then end on a technicality. We need more stories to do that. It's hilarious. 7. What do you think of Harry's use of Unforgivables in DH? The Imperius curse he used at Gringotts was necessary. I have no problem when he was simply doing what he needed to do to get a job done. The Crucio was absolutely disgusting. Torture somebody because he spat? It wasn't even righteous anger (because that, arguably, can't be used). He just wanted to hurt someone. He just hated the death eaters that much. What happened to that pure heart? How do we end up getting into the situation where people are ruthlessly slaughtering each other and torturing each other? It's when we refuse to forgive each other, and let our hatred build up until we start trying to hurt each other. I think it's beautiful that Harry forgave the Malfoys, and Snape, and even offered Voldemort the chance to feel remorse. I think that message is diluted when you start torturing the secondary bad guys. Not if it gets in the way of the story, no; my argument was that the books were written in a way that allowed JKR to choose either ending without really affecting anything. In the books, of course, there was no real scenario which would have led to Harry's soul not surviving and thriving in some way, given the afterlife presented for wizards in the books- the question was whether he would move on, so to speak, or return. I'm not sure which theme of 'entire chains of families' dying you are referring to in the books. As far as I can tell, the only family which gets killed off as an entirety in the books is the Noble and Ancient line of Blacks, and even then we only ever really know one of them. The Weasleys lost one child, Lupin's son survived, of course... no other family really comes to mind. I'm not sure how the theme could have been 'completed,' given I don't see that it was ever really started. Honestly, if there's any real theme with who gets struck by death in the series, it's that it is random and cruel and senseless, not that it plays out nicely according to a pattern: Cedric, Dobby, Lupin and Tonks, Fred but not George, Colin Creevey, etc. I think, at the end of the day, Harry's life or death would be servicing a group of fans regardless- many people did indeed wish for Harry to die at the end of the series. The way she wrote it, though, she was able to decide her own ending, because there was no effect on the morals or themes of the story either way. Last edited by willfitz; June 16th, 2012 at 9:35 am. An entire family sacrificing themsleves for the greater good and to stop a dark lord from taking over the wizarding world sounds far more pleasing to me than harry coming back. James and Lily did not sacrifice themselves for humanity or to stop Voldemort from taking over. James had no choice in the matter and Lily sacrificed herself for Harry, not some other ulterior goal. It would has devastated everyone, but in the end thy'd all be able to kill voldemort with ease as they would be protected by his sacrifice. I've read this in various places and I'm not convinced. After his return from limbo, he gave no indication of being sure that Voldemort was done for. Voldemort was still a very real threat for him and he hoped that his plan with the Elder Wand would work out. Dumbledore tells him something similar, that there was a chance that Voldemort might be finished for good and that fewer people would be maimed or killed. I would somewhat agree that, at the time of my first read, Harry coming back seemed to do a disservice to the power of his sacrifice, or, if you will, the influence his sacrifice had on the other characters. Rather than diluting the significance of his own willingness to die for humanity, I felt that his return severely diminished the raging emotions that had overtaken the crowds at the sight of his seemingly dead body. But, similarily, the emotions at his awakening are to be considered, as they were powerful in themselves. At the same time, it also irked me slightly that, no matter what, Harry just appeared invincible, no matter how close he came to death, it never held a grasp on him. I feel a bit differently now, because I think that Harry's return was not just deliberate on Rowling's part for the sake of the fans. I think it was also to let the magnitude of Voldemort's death settle in as well. While fans would be focused on a dead, tragic Harry (if the book had played out in such a scenario), they would neglect the bittersweet ending of Voldemort's own pitiful life. In the end, he was in fact to be pitied, and if Harry had died along with Voldemort, or if Harry had died through his sacrifice, it would have taken away from the strong finish when he finally defeated his enemy. In addition, the prophecy is worded quite carefully, and though that phrase "neither can live while the other survives" continues to confuse me, I think that, in a way, both Harry and Voldemort had perished that day, in some form or the other. And only one ended up surviving. So, I suppose the ending fit the prophecy, which, in my opinion, is more important to adhere to than any ongoing themes. Personally, I think Harry's use of the Cruciatus Curse, while a bit uncomfortable, was necessary to show that he wasn't exactly pure of heart. I do not believe that any character, even those who are good, are pure in any sense of the word. In my opinion, it is unrealistic for a human to abstain from hatred of the enemy. And though Harry practices forgiveness, notice how he only forgives those who actually deserve to be forgiven, those who have redeemed themselves. Never does he accept those who have been cruel, and those who continue to to be cruel. In times of war, the ugliness will lift its head. And Harry's experience is no different. If anything, it reinforces the flaws in himself, but also depicts his loyalty to his own side and comrades. For Harry, Voldemort was a very real threat, yes. However, Voldemort had no powers against the others who opposed him, as Harry had protected them all from him by the power of his sacrifice. Other than Harry, Voldemort wouldn't be able to do a thing against them. Of course, he did still have his DEs, but as we see, the 'good guys' were able to take care of them. Rowlnig confirmed in interview that harry was in limbo. Limbo is tied to religion. Itwas not in his head. If you subscribe to an author's interviews as canon, there you go. I happen to not subscribe to that philospphy. As for a family being wiped out, I;m referring to the Potters. We knows that Lily and James fought against Voldemort. they died for the cause, whether they had a choices in the matter or not. But due to the hilariously awful blood nonsense we get a technicality where a full sacrifice is dminished and the theme of familial sacrifice is not gones threw with. DH is easily the worst book in the sereis for me because of these. She did say you could make up your own mind on it. In any case, I don't see this having much to do with religion. IMO it is pretty clear that death in the wizarding world is quite different to that in the real world. I'm sure there were other families who were entirely wiped out by Voldemort. The point being that Harry already had all the pieces of the puzzle - he just needed to put those pieces together to figure it all out. Whether one believes that Harry was in limbo and that was actually Dumbledore's spirit helping him put those pieces together or if that was simply Harry's mind using his memory of Dumbledore to help him figure it out himself doesn't really matter, IMO. What is significant is that Harry was able to take all the information he'd learned and figure out the truth, IMO. Lily and James were part of the Order and fought for the cause, but they didn't die for the cause. They died trying to protect their son. Voldemort did not kill them at that time because they fought against him. He killed them because they stood in his way as obstacles to him killing Harry. When Voldemort came into their home that night, Lily and James were not members of the Order on a mission. They were simply parents who loved their son and were willing to die to try and protect him. The blood tether was set up in GOF - and very well done, IMO. Voldemort enabling Harry to have a choice to return or go on so he would die does not diminish Harry's sacrifice in any way, IMO. Harry didn't know he had that option until after the fact. His survival doesn't change what he was willing to give up to save everyone. Personally, I like the irony of it because it throws Voldemort's schemes back into his face. His determination to kill Harry personally led to him making mistakes that, ultimately, made it impossible for him to kill Harry personally. Harry's death would actually have diminished his parents' sacrifice, IMO. They died trying to save him. Harry's death would have rendered their deaths meaningless in that sense, IMO. They didn't sacrifice themselves for the cause or to enable Dumbledore to use Harry as a pawn in his schemes to stop Voldemort. They sacrificed themselves trying to ensure that their son would live. There was no theme of familial sacrifice. There was the theme of choosing what is right over what is easy. There was the theme that love can be stronger than any magic. Harry's story was a model of the hero's journey - which culminates with the hero surviving death and returning with his reward. You can learn more about the model for the hero's journey here and here. So, you're more concerned with the fact that you wanted a full family death to be a theme. It isn't really a case of "not going through with it" then, because there's no real indication that it was something that JKR ever wanted to put in the books, and it isn't something that is ever present in the books. However, the whole family did sacrifice themselves, even if they didn't all die. James sacrificed himself to buy Lily more time (some good that was, though), Lily sacrificed herself to protect Harry, and Harry sacrificed himself to destroy Voldemort's immortality. Welcome to version 2 of Harry's character analysis thread. Version 1 can be found here. The questions from this post, and my answers, below. 1. How do Harry's formative years with the Dursley's influence the person he is now? Would he be the same person if his parents had lived? If he had been sent to live with another wizarding family? If he had been sent to an orphanage like Tom Riddle? I think a person's circumstances do affect their character to a degree. One trait Harry has is sympathy/understanding of oppressed people. I think this is a trait the Dursleys helped to bring out, by giving Harry firsthand experiences of what it is like to be oppressed. I think he would not have developed this trait with his parents or a wizard family that would choose to adopt and raise the famous Harry Potter, because his life experiences would have been far more positive. The orphanage might have been similar, though perhaps not, I see no reason to suppose his caregivers would dislike or mistreat him in his childhood. 2. When do we first see evidence of Harry's "saving people" thing? Is this a strength or a flaw? What do you think of his final sacrifice? Probably we first see this when Draco steals Neville's Remembrall. I would say the motivation to help people is a positive, the impulsive and unconsidered nature of the actions it prompts is a weakness. I think this became apparent to Harry in OotP, when his impulse to save Sirius Black (who was in point of fact not in any need of saving) set off a chain of events that led to Black's death, and Harry at various later points shows some consciousness of the need to think over and plan things. I think Harry's fimal sacrifice is prompted by this same impulse, but is well-considered and thought through. To me it was a completely admirable action by Harry. 3. Harry's natural curiosity was stifled by the Dursleys. "Don't ask questions!" but it comes out it full force once he gets to Hogwarts. How does this curiosity serve him through the books? Has he truly lost it after Dumbledore's death or will it return as he hunts for the horcruxes? Harry discovers all manner of interesting things, like the name "Flamel", the nature of the Monster in the Chamber of Secrets, and the indentity of the Death Eater who told Voldemort the prophecy. Harry's curiosity is definitely not in abeyance after Dumbledore's death; in fact the outpouring of reminiscences, obituaries, and biographies this even prompts raise new questions about which Harry is curious. 4. What do you think are Harry's greatest strengths? What weaknesses did he overcome as the series progressed? Harry's greatest strenghts are his concern for people less fortunate that he is, and the lengths to which he is willing to go for people he cares about. His biggest weaknesses are a tendency to impulsiveness and a simplistic view of people which leads to what I would describe as his prejudice against Slytherin House. I feel he is shown to have overcome both of his weaknesses by the end of DH. 6 Dumbledore tells him that his pure heart is what separates him from Voldemort and his Death Eaters. What examples have we seen of this pure heart? I disagree with Dumbledore that Harry is not a Death Eater because of his pure heart. I agree with Harry, that being a DE is not an option for Harry because 1) Voldemort wants to kill him, and 2) even if Voldemort were to change his mind, Harry would not be interested because Voldemort has already killed his parents. I am not sure what Dumbledore means by Harry's pure heart. I do think he has a good heart, that has sympathy for other people who are suffering and wants to alleviate that, but this can (and does) lead him to mistakes up to and including the use of powerful Dark Spells. To me it is a mixed bag. I felt his use of Imperio in the Gringott's raid was a war necessity, that likely saved him from being detained and turned over to Voldemort. I felt his use of Crucio against Amycus Carrow was an act of cruelty and vengeance. 8. Why do you think Harry forgives Snape? To me what Harry has to forgive is Snape's service to Voldemort in the first war which endangered him and his parents. 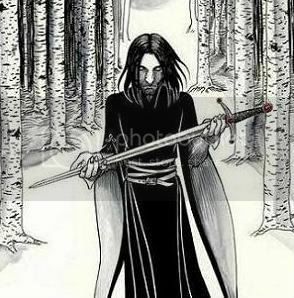 He learns that, in the first war, the danger to Harry's family motivated Snape to change sides in an attempt to avert that danger, and that Snape persisted both in his service to the "right" side and his protection of Harry (all that remains of Harry's family despite Snape's past efforts) until his death (at the time of which, Snape gave Harry the information he needed to survive and win). 9. JKR tells us that he and Ron became Aurors and revolutionized the department? Do you think this was a good choice for him? What changes do you think he might have made? Yes, I think Harry could be a good Auror, and head of the Auror Department. He is quick-thinking, talented if not very polished in magical combat (he could learn to be better on the job, and I think his past shows he will, when he has a motivation to learn), and would bring a good deal of sympathy to the victims to the job. He is also an inspirational leader (as we see e. g. in how Neville is impreswsed by his example). Last edited by arithmancer; July 22nd, 2012 at 10:45 pm. Personally, I think Harry's use of the Cruciatus Curse, while a bit uncomfortable, was necessary to show that he wasn't exactly pure of heart. I do not believe that any character, even those who are good, are pure in any sense of the word. I agree. Totally. No one is perfect so naturally, Harry wasnt. His choice of using that curse on Carrow was all his own and it showed us that Harry wasnt smiles and sunshine about everything. Even the best of us wont ALWAYS take the moral high ground. Sometimes we all do things out of sheer hatred or spite. That aspect made Harry seem very human. It's a huge difference between not being perfect and torturing someone, IMO. I don't think we were ever shown Harry was perfect, I have always seen him as a normal teenage boy who didn't always take the moral highground. His rivalry with Draco springs to mind and the way they were always at each other's throats not hesitating to hex one another. So I don't think we ever had reason to believe Harry was a saint as he wasn't depicted as one. However, torture is in another category altogether. It wasn't just that he tortured Carrow, it was the fact that he used the very same curse which was used on him by Voldemort and on Hermione and Neville's parents by Bellatrix. Harry knew how terrible the Cruciatus curse was and the damage it could cause and yet he not only used it but also quoted the witch who had tortured his best friend and another friend's parents with it implying that he know understands the thrill. That didn't seem like Harry to me. It's one thing to have shades of grey and not always be this moral person but what he did was completely inappropiate, in my view. wasn' it the second time Harry actually used the Cruciatus? I thought he did in OotP to Bella (and was told he'd have to mean it). And I might not remember correctly, but I vaguely seem to recall him trying to use it against Snape in the HBP (although perhaps I am confusing it with Sectumsempra). Either way, I interpreted the DH scene to mean not that Harry was't perfect (I have known that a long time) but that he had learned "to mean" it. Last edited by Divvie; July 23rd, 2012 at 3:17 pm. I think it's a misinterpretation to say that Harry "understands the thrill". I doubt very much that Harry was like Bella in that regard; Bella clearly enjoys making others suffer. Harry's reaction was one of anger and impulse, he wanted to not only stop Carrow, but hurt him as well, especially after hearing how Carrow had deliberately hurt & tortured students at Hogwarts, many of them first years. In fact, Carrow intended to blame the students for his & Alecto's mistakes to Voldemort, which would likely result in Voldemort killing the students. I'm not excusing Harry's lack of judgement, but I think it's far different than what we see with Bella or Voldemort (or even the Carrows).